The Natomas Educational Center is now hiring a full-time dean, a permanent position that begins in April. 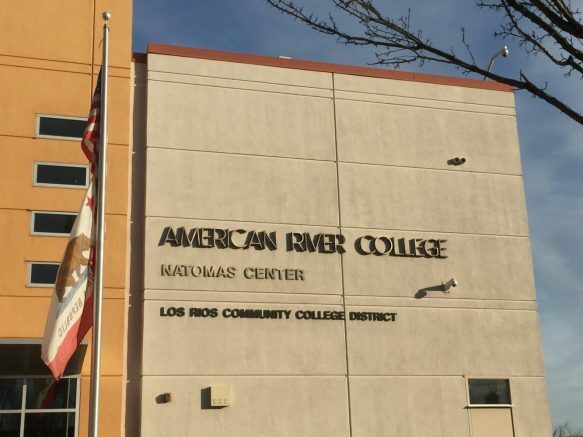 According to the posting on Los Rios’ job site, the typical duties of this position include developing and assisting faculty and staff, the center’s programs, services and schedules. Another very important task is overseeing and developing a strong relationship with Inderkum High School, as well as the North Natomas Public Library, both of which are adjacent to the center. Frank Malaret, the current Interim Dean, will hold the position for the rest of the semester while the hiring process continues. “I just started the position in early January and I was brought on as interim until the process of hiring for the college for full time position for the center is done,” Malaret said. Malaret has experience as a dean. He was Dean of Behavioral and Social Sciences at Sacramento City College for approximately 12 years. He has also served as dean at City College’s Davis Center. Although he has only been working at the Natomas Center since January, Malaret says he realizes the unique programs the center offers to its students. Not only does CECA facilitate college learning to students in high school, but because the Natomas Center is located by Interstate 80 and Interstate 5, it allows students to come from near and far. Malaret points out that its location allows locals to attend college nearby rather than driving to main campus. Some qualities Malaret says he believes are necessary for the full-time position have to do with being able to manage an important leadership position. “Certainly having a background in instructional administration and, also in administrative abilities, overall, because you are essentially really running kind of like a little college,” Malaret said. Scott Crow, the public information officer at ARC, agrees. The school is looking for someone “who clearly shares the college’s vision, mission, and commitment to social justice and equity. Of course, we are looking for that in all of [our] candidates,” Crow said. According to Crow, another very important quality this position requires is someone who can build relationships not only with the faculty of the center but those in the district, in the community and of course the high school. “ARC’s Natomas Center has developed close relationships with local community partners and the new dean will need to nurture and grow those relationships,” Crow said. Unique as it is, the Natomas Center also has similar resources to the main campus. These include counselors, staff that handles enrollment, learning centers, and computer labs. Malaret adds that a prospective dean can lead these types of operations as well as having the skills to oversee putting together a class schedule for the whole center. “You have a whole hosts of different functions that operate here at the center itself in a similar fashion at the way you have it at the main campus except of course in smaller operations [that] you certainly have to oversee [as] the dean” Malaret said. Alondra Botello is a second-year student at American River College. This is her first semester writing for the Current. She is working on her associates degree in journalism. Outside of school she can be found singing or creating something new for her personal Instagram. She will be transferring to California State University, Sacramento in the fall. Be the first to comment on "ARC looks to hire new dean for Natomas Center"